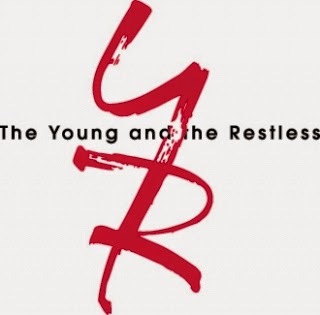 Could it be that the producers of The Young and the Restless are actually heeding the advice of viewers? I sure hope so. After all, the unpopular storyline about Michael Baldwin's prostate cancer seems to have been dropped. There's been nary a mention of it for a long time. Michael also seems to be reconciling with Lauren. Marco is in jail, at least for the time being. I hope he doesn't return because we don't need the "two Jacks." One is sufficient, thank you very much. The producers have also brought Esther (Kate Kinder) back into the limelight and her character is moving in a new and interesting direction. It's about time they released Esther from that stuffy Chancellor mansion and took her out of her maid's uniform (Kate's been on the show for 33 years). I think it's just great that she's found employment at Crimson Lights, Dylan's coffee shop. She'll shake things up there, won't she? Best of all, however, is the glorious return of Ian Ward. Ray Wise, who portrays the dastardly cult leader is such a good actor! He appears to be having the time of his life in the role. Wasn't he hilarious when he sang "Chelsea 2.0." I laughed my head off when he warbled that little ditty. Wouldn't it be fun if Esther were to fall head over heels for him? Esther has a history of making bad choices in men. Ian's may be a scoundrel, but he can be very charming and charismatic. I can easily imagine her falling under his spell. Given the fact that Mrs. Chancellor's long-time maid is starving for male attention, she would be particularly vulnerable to his sweet talk. If he romanced her, she'd be eating out of his hands in no time. She wouldn't have a clue how wicked the man is. 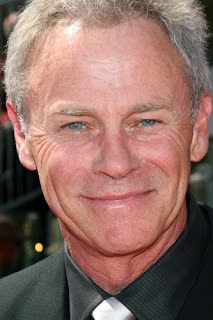 The problem is that Ian Ward is very recognizable in Genoa City and so many GC residents know the truth about him. He would have to woo Esther secretly, but that shouldn't be a problem for him. He's very sly and resourceful. 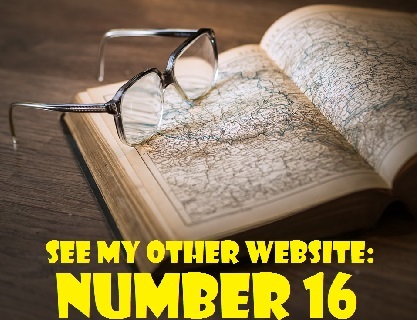 He had no problem tricking Phyllis into believing that he is a kindly widower named Fred, and Phyllis is a lot more sophisticated and worldly than Esther. A con artist like Ian would have no problem deceiving Dylan's new employee. Speaking of deception, Marisa is certainly hoodwinking poor Noah Newman! It turns out she's married to a man from a wealthy Spanish family, a fact that she conveniently thought she could sweep under the rug. She has led Noah to believe that she was poor and desperate. Perhaps she was desperate, but she certainly wasn't destitute. Noah continues to be unlucky in love. However, given Marisa's association with a drug lord, he should have been more careful before getting involved with her, Red flags were everywhere and he was still grieving the loss of Courtney. Now the unfortunate Noah is about to have his heart broken yet again. As for Luca Santori, Marisa's long-lost hubby, he is a rich, powerful and controlling, and he also surrounds himself with thugs. He reminds me of a younger Victor Newman, although Victor is self-made whereas Luca was born with a silver spoon in his mouth. Luca is suave, self-confident and very determined to get Marisa back. Not only that, but the Great Victor Newman is supporting Luca's cause by blackmailing Marisa. She knows too much and she is a threat to him.. He wants her out of Genoa City and away from his grandson. Meanwhile, Marisa is caught in a web of her own making. She cares for Noah, but she can't be honest with him. In Marisa's defence, I can understand why she wanted to get away from Luca. He's very possessive and controlling. Why, however, did she have to get involved with a terrible criminal like Marco Annicelli? She simply exchanged one thug - Luca, for another - Marco. There's still a great deal we don't know about Marisa. I guess she likes Noah because he's the exact opposite of Luca and Marco. In other words, he's not a thug. Still, Noah should have steered clear of her until he learned more about her past. He put his trust in her prematurely. Are we witnessing Victor Newman's last stand? Are his enemies finally closing in on him? Will the Newman empire finally come tumbling down? "The Moustache" is facing more adversaries than he's ever had to deal with in his life, and they are coming at him from all sides. Marco, Ian and his own son, Adam, are formidable foes. The "Paragon Project" is a real threat to him. Still, he has the annoying ability to survive all challenges to his power. Even the U.S. Federal Bureau of Investigation bows down to Victor the Great. He demanded that the Abbotts be arrested and the FBI wasted no time in arresting Billy Boy Abbott. They did this despite a lack of solid evidence that the Abbott' family tampered with Newman's computer system. How long can Victor stave off his enemies before the House of Newman collapses like a house of cards? Answer: As long as the writers and producers want him to. At least Noah and Victoria are finally starting to realize that the "Black Knight" is not just a kindly patriarch trying to protect his children and grandchildren. Now that Marisa has told Noah about the "two Jacks" and how Victor unleashed the Marco Monster on Genoa City, Noah is finally starting to see his grandfather for what he truly is - a tyrant and a bully. As for Princess Victoria, she has devoted herself to her father's company and usually comes to his defence. Yet he won't trust her judgment and says his plan is to make Nick the next Emperor of the Newman empire, despite the fact that Victoria much more capable and experienced in business. Victor has even given greater responsibility and a higher position to his other daughter, ditzy Abby. There is no comparison between the two sisters when it comes to business. Abby's not even in Victoria's league. Why then is daddy Victor shutting the Princess out? It's partly male chauvinism and it's partly to punish her for reconciling with that "obnoxious punk," Billy Abbott. Well, isn't Adam Newman is behaving like a chip off the old block? He's in league with Ian Ward, of all people. He even managed to get Ian released from prison (through bribery, I assume). There seems to be more of Victor in him than his mother. The late Hope would not be too pleased with her soon if she knew how he was behaving. As Adam's partner-in-crime, Ian Ward, pointed out, Adam is going to have to choose between his picture-perfect family and his overwhelming desire for revenge on his father. He can't have both. By the way, how was sly Ian able to purchase or rent the apartment across from Adam and Chesea so easily? Ooops . . . that's a question we're not supposed to asked. At any rate, I couldn't help grinning when Ian greeted Adam with a hearty "Howdy neighbour!" Patty Williams and her kitty cat have also returned to Y&R. I don't think her return is permanent, though. 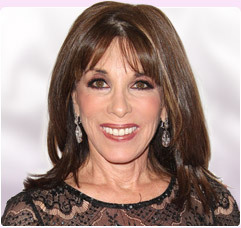 She's obviously back for plotline purposes and is going to play a role in the Sharon storyline. She already knows that Sharon miscarried and will probably become involved in some baby drama involving Sage's unborn child. 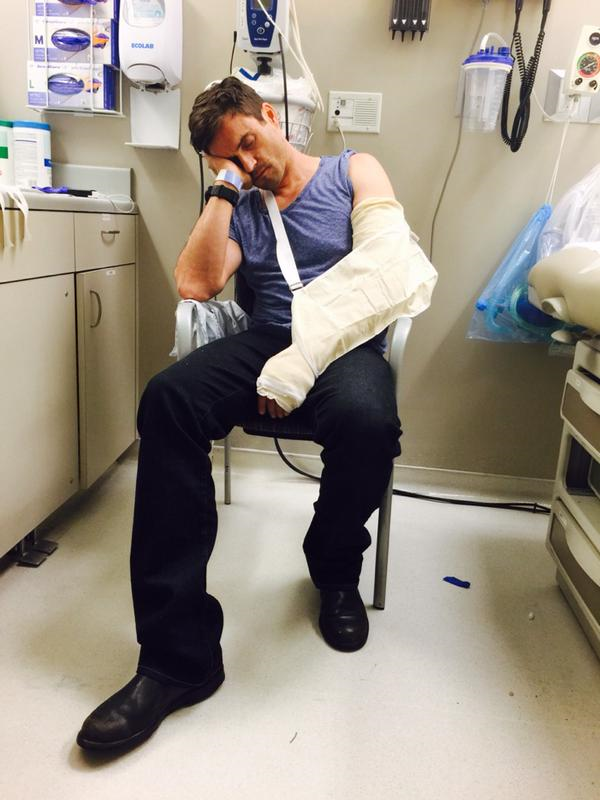 Unfortunately, Australian heartthrob, Daniel Goddard, who plays Cane Ashby, was injured during the filming of an episode of the Y&R. Here's what he wrote on Twitter about the incident: I broke my elbow on Friday at work while filming a fight scene. I am just bummed out . . .
Ah, the perils of being an actor! I guess the writers will explain the cast by having Cane injured in the fight too. Here's some good news for fans of Sofia Pernas, who plays the role of Maria. Sofia is now under contract with the show for one year. That means Marisa will be staying in Geona City, at least for a while. It's Esther's word versus Colin's word! Whom do you believe? Esther claims that Colin hit on her. I wouldn't put it past that scumbag. However, Esther may have her own reasons for lying. Perhaps she just needed an excuse to get away from Jill and the Chancellor estate. At any rate, it's a case of "he says," she says"
Who is telling the truth, Esther or Colin? Esther, of course. Colin is a sleazebag. I believe Colin. The Aussie may be a cad, but I can't see him harrassing anyone without his usual motive - financial reward. Esther may truly believe Colin hit on her. Howver, she could be unstable. She could be imagining the whole thing in her mind or she may be lying as an excuse to get away from living in the Chancellor mansion with Colin and Jill. I don't know who's telling the truth. That's all for now. Don't forget to check out the next edition of Y&R Report in this space on Saturday, October 10, 2015. We will see what changes autumn brings to Genoa City - and they won't just be the colour of the leaves. According to an online spoiler, there is going to be an explosion at a Newman ballroom gala and there will be casualties (The Newsmans and Abbotts just can't have an event without disaster and mayhem).